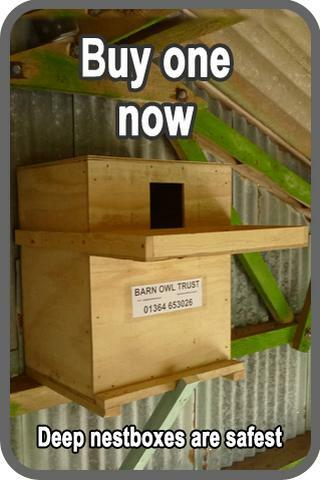 What is a Barn Owl home range? The area in which a Barn Owl lives is called its ‘home range’. We don’t use the word ‘territory’ because, unlike some other bird species, such as Tawny Owls, Barn Owls don’t try to defend the area from others of their own species. A home range is very simply the area that they use for hunting, roosting and breeding. The home range occupied by one Barn Owl not only overlaps with that of its mate but also overlaps with the home ranges of other individuals and pairs (except where the birds are very scarce). How big is a home range? Barn Owl home ranges are comparatively huge. In the winter they can be up to 5,000 hectares (that’s 7,102 football pitches!) but in summer, when there’s more food about, the area they use most shrinks to about 350 hectares. This equates to 1 km radius around the nest when they are breeding and about 4 km radius at other times. However, Barn Owl home ranges are never circular and can be almost any shape. Why are home ranges important? Staying in one area enables Barn Owls to develop a highly-detailed ‘mental map’ of their home range. They memorise where the best hunting places are, favoured roost sites, their nest site, and the clear flight paths that connect them all. Indeed, the main way in which nocturnal owls manage to avoid flying into things in the dark is by remembering clear flight paths. This accumulated knowledge can mean the difference between life and death, especially during winter hardship or when they have a brood of young to feed. What does a home range contain? Within their home ranges, a pair of Barn Owls will generally use one nest site (possibly 2), 1-3 main roost sites, and any number of sites they visit occasionally where just the odd sign of occupation may be found. Just as some sites are only used while the birds are nesting, others may be only used in winter. Because they overlap, many Barn Owl home ranges will contain roost sites that are used by other Barn Owls. The extent to which home ranges overlap is related to Barn Owl population density and this is largely determined by the suitability of the landscape. Crucially, the home range must also contain adequate foraging habitat and hopefully no Barn Owl death-traps such as major roads. How long will they remain in their home range? Once a Barn Owl has established a home range it will almost certainly remain there for the rest of its life. They are also incredibly faithful to their mates and to their main roosts and nest site. Watch the video on how to create and manage Barn Owl foraging habitat. Tracking Barn Owls at night to find out where they go is a huge challenge! Read about radio tracking. Sadly, most Barn Owls are not long-lived. Find out about their life expectancy. Watching a Barn Owl hunting is an amazing experience! Check out our hunting and feeding page. Barn Owls have been found in chimneys and even down mine shafts! 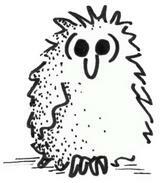 Find out about roosting and nesting places. Get the definitive guide! 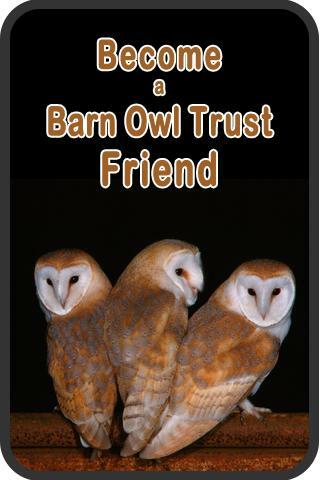 The Barn Owl Conservation Handbook has a whole chapter on Barn Owl ecology. Need a present for someone special?